Family holiday is designed especially for families with children and is the perfect way to introduce kids to the Himalayan wonderland. 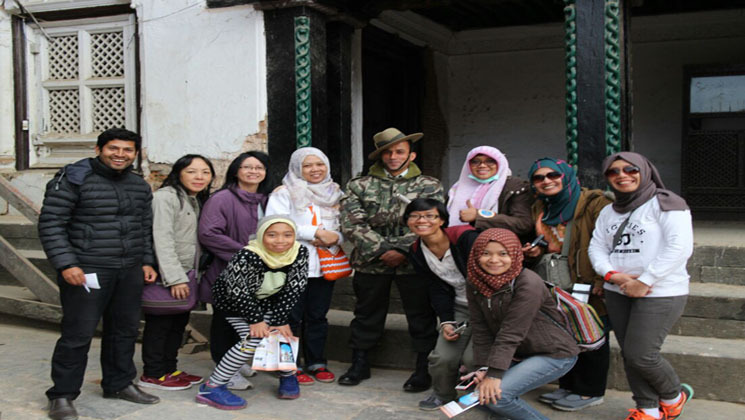 Travelers get enjoy discovering with the help of experienced tourist guide guiding the World heritage monuments, Himalayan adventures, exotic wildlife viewing, cultural exploration and more. Daily activities are varied and tiring travel is kept to a minimum, with added features catered to the entire family. Locally born guides accompany each step of your way to ensure amusing encounters and to reveal intricacy of authentic cultures of Himalayas. Accommodations are welcoming and child-friendly. All the trips featured in this category are evenly paced so that your family keeps a pleasing balance of relaxation and adventure. are also a trip in and around Kathmandu, Annapurna Trekking Tours, Nepal Rafting, Ancient Nepali town “Bandipur village” Tours, Chitwan National Park safari tours. In family holiday tours chapter, we specially designed for families who are traveling with children aged in between 6 to 16. We include some fascinating cultural sightseeing, world heritage monuments sightseeing, a relaxed camping trek with spectacular views, some easy Rafting on Trisuli River, and explore Chitwan National Park, with the chance to bathe with the working elephants Small group departures are available during the school holidays, and we can also run the tours privately for your family at any time – please contact us for details. During your visiting in Nepal with your family, you can do trekking, hiking, safari, educational tours, family holiday tours, bird watching, cycling tours etc. Tell us your interests and plans and we will work with you and help you to realize your ideal vacation ensuring safety, quality and a fantastic adventure travel experience. Have in mind that if you give us as much information as you can about where you want to go, when you’d like to travel, what you’d like to see etc, as the more information you give us the more we can assist you. Don’t miss this exiting discount offer from Gokyo Treks and Expedition ! It has now come up with new episode of discount offers/special offers. These offers subject to change anytime, so, hurry up. Secure your fraction! Just you have to arrange your international flight tickets, Insurance and visa.